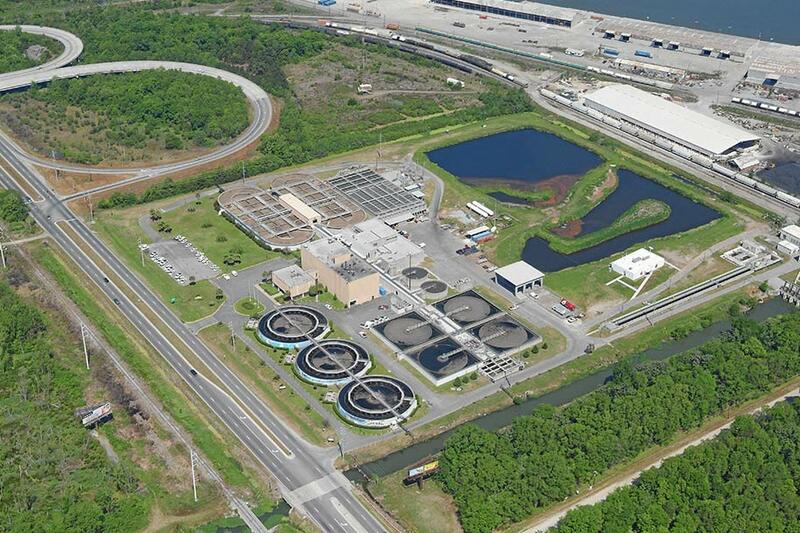 In the 1970s, Hussey Gay Bell, in association with Wiedeman & Singleton, designed the original secondary activated sludge wastewater treatment facility on President Street, which serves major ports of the City of Savannah and discharges effluent to the Savannah River with sludge disposal by incineration. The plant was later expanded to 27 MGD in 1992. Since that time, regulatory agencies have continued to place more emphasis on reducing treated wastewater discharge into public waterways. As a result, Hussey Gay Bell was again engaged in the late 1990s by the City of Savannah to create its reclaimed water infrastructure. The firm was engaged to design two traveling bridge filters and a pumping station to provide urban reuse quality water used for irrigation at the Savannah Harbor Golf Club on Hutchinson Island and the Savannah Golf Club on President Street. At the time of this project, the filters and pumping station were capable of providing 5.0 MGD of urban reuse quality water to the courses. The then newly-designed reclaimed water transport piping incorporated directional drilling technology to install the pipes underneath the Savannah River to Hutchinson Island which allowed the City of Savannah to reduce its discharge of treated wastewater into the Savannah River. Ultimately, this expansion provided the City with the ability to provide 4 MGD of tertiary treatment capacity for reclaimed water. Years later, in 2007, Hussey Gay Bell, in association with Atlanta-based, Brown and Caldwell, engaged in the study, planning, preliminary and final design and permitting of an estimated $26M upgrade to the existing biosolids handling facilities. The suggested improvements include thermophillic and mesophic digesters with holding tanks and a batch tank to product Class A biosolids. Supporting Brown and Caldwell, Hussey Gay Bell oversaw design efforts for conversion of the gravity thickeners to DAFT and the interconnections between the Biosolids facility and the existing facility in addition to geotech, civil and structural. In 2016, upon completion of bidding, the City elected to switch the project delivery method from design-bid-build to design/build with different technologies. Once complete, this project will allow the City to meet air compliance requirements that will take effect in 2016 by providing an alternate means of biosolids removal and abandoning the current incinerators. At full build-out, the project will allow the city to cost-effectively produce a Class A biosolids product and help maintain the facility’s award-winning, reliable performance track record through the year 2030. Since the 1970s, Hussey Gay Bell’s engineers have been working with the City of Savannah to design new facilities, improvements and upgrades to the President Street treatment facilities. 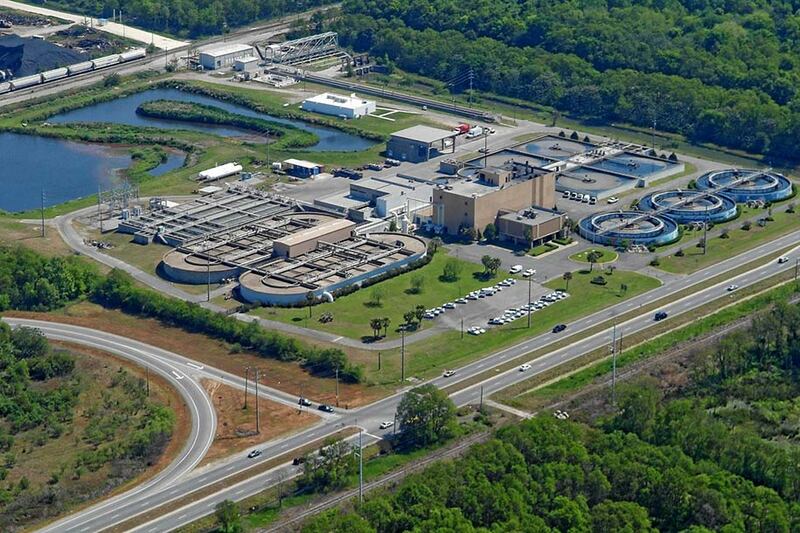 From the design and construction of the original secondary wastewater treatment facility to the creation of reclaimed water infrastructure to the planning, design and permitting for an advanced solids digestion facility, Hussey Gay Bell has been with the City every step of the way.